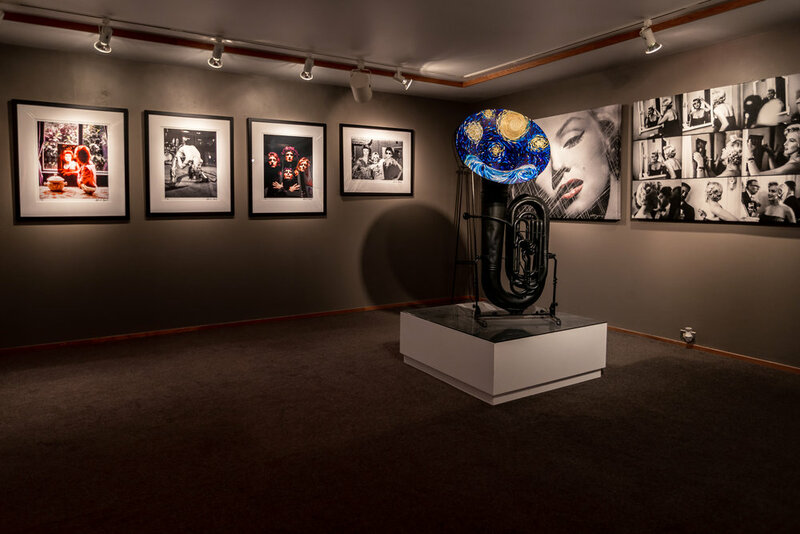 Located in the heart of Birmingham, MI, the Robert Kidd Gallery showcases artworks from artists larger than life. Robert Kidd Gallery was founded in 1976 By Robert Louis Kidd and Ray Frost Fleming, graduates of the Cranbrook Academy of Art. Owed to the curatorial vigor of Kidd and Fleming, the Robert Kidd Gallery achieved early notoriety through the caliber and consistency of its exhibitions, and a growing stable of prestigious artists with whom the gallery became affiliated. In the early 1980s, the gallery's exhibition and archive spaces were expanded by renowned architect Irving Tobocman, and fitted with custom gallery interiors by Kidd. The elegant modern designs conceived and constructed at the time of this collaboration remain in the two-level gallery on Townsend Street in downtown Birmingham, Michigan to this day. showcasing photography, abstract + contemporary artwork, sculptures, + more! An exhibition including original paintings by Nancy Thayer and sculptures by Russell Thayer. Russell Thayer take the poetic activation of space far beyond the object, and innovate by breaking fixed barriers, and creating a dynamic, circular exchange of forms and meanings. He is formulating a modern conception of space by taking three-dimensional form to a new level. His small bronze figures and large aluminum sculptures reflect his love for architecture, dance, poetry, history, and hard manual labor. "All these components have influenced and informed my work” say Russell.